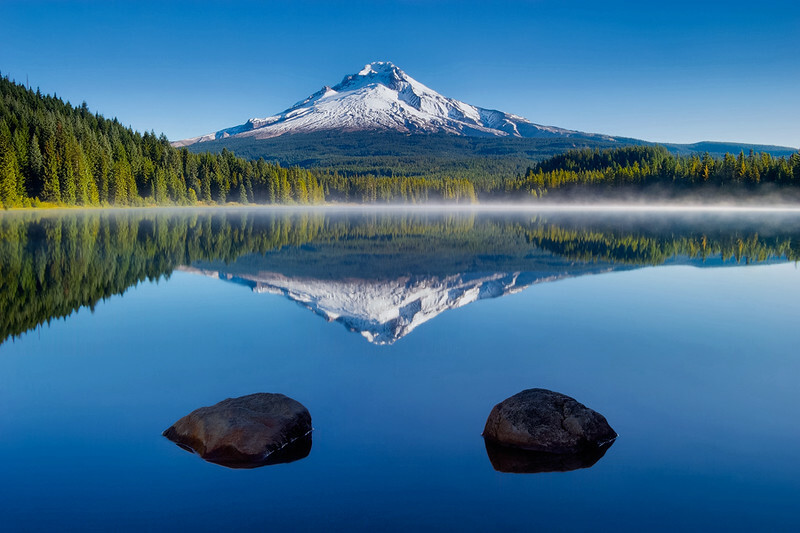 Trillium Lake, Oregon. Photographed the first morning after a very long rainy season. As the rain left, I found the sky crystalline clean, and the morning reflection, due to calm air, astonishingly calm.